Natasha Mylius was born and raised in the southwestern part of Russia known as Northern Caucasus. Since early childhood, Natasha expressed interest in many different art forms. At first, she pursued musical education, hoping to become a professional piano player. While enrolled at a musical school, she began drawing portraits in her spare time and discovered not only a talent, but a strong passion, for this art form. A combination of a life-changing event, a few chance encounters with prominent Russian artists, and support from those touched by her art encouraged Natasha to shift her focus from music to drawing, and then painting. After graduating from high school and, simultaneously, music school, Natasha studied fine arts at the university level, earning a Master’s degree in Fine Arts, Crafts, and Teaching, with a major in portrait, from the Pedagogical University of Rostov-on-Don, Russia. After graduation, she went on to teach art at schools and institutions of higher learning. Since moving to USA in 2000 she became a full-time artist. 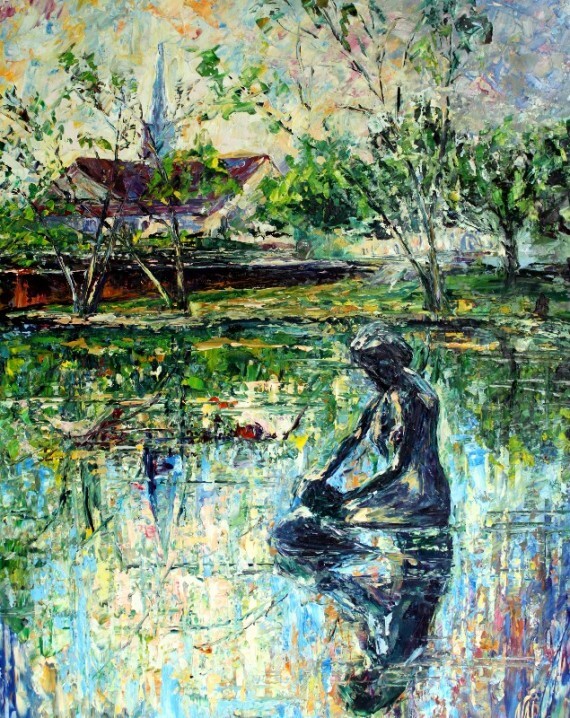 Her art was exhibited at galleries in Dallas, TX and Las Vegas, NV until the fall of 2002 when she moved to New Orleans, LA. She operated her own gallery on Magazine Street until May 2004 when she moved her studio to her home. Since September 2005, Natasha has been working out of Austin, TX. She received a very traditional art education and originally mastered a realistic style of painting. Yet, as independent artist, she began to explore different styles and techniques. Now she finds that impressionism is the style closest to her heart. She works in oil on canvas by using a palette knife, building up color in multiple layers striving to create an incredible visual experience. The variety of colors and the texture help her truly reflect the way she sees the world.